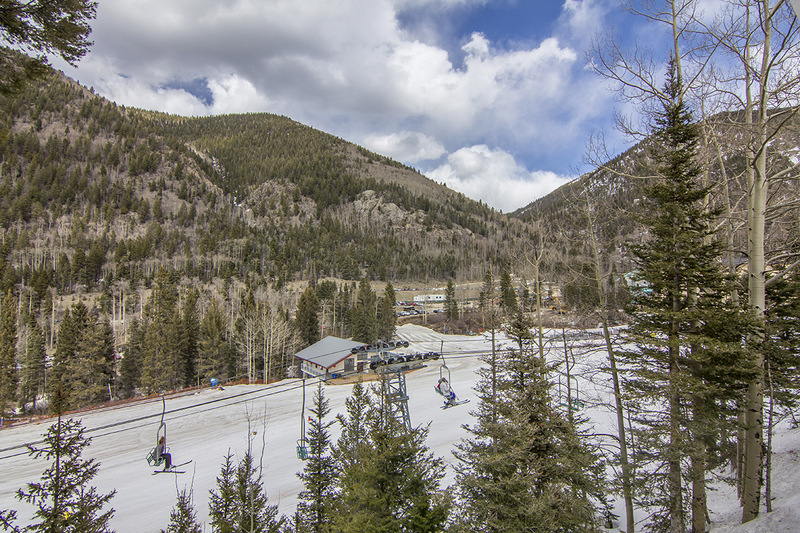 Skiing and snowboarding have never been better in the Taos Ski Valley . . .
Taos Ski-in/Ski-out Lodging at Taos Ski Valley, NM at the Kandahar Vacation Condos makes your vacation perfect anytime of year! Long known for its world-class skiing, the Taos Ski Valley is now open to snowboarders. Enjoy world-class downhill and cross country skiing or snow shoeing in the Taos Ski Valley, then relax your tired muscles in the onsite hot tub at the Kandahar Vacation Condos Resort Lodging. Curl up by your condo fireplace for a relaxing evening in the comfort and privacy of your own vacation rental lodging. Summer in Taos Ski Valley brings cool, breezy days and Rocky Mountain nights full of stars. Go horseback riding, hiking or mountain biking through alpine meadows filled with wildflowers. Bring your camera to capture birds and wildlife galore. Or for your time in Kandahar just relax and enjoy the peace and tranquility of Northern New Mexico, truly the Land of Enchantment. Taos Ski Valley Lodging Ski-in/Ski-out at Kandahar Condominiums, premier New Mexico Vacation Rentals is the place to be! Taos Ski Valley’s favorite Ski-in/ Ski-out condo hotel is famous for providing skiers and snowboarders the best in lodging, hotel or inn accommodations, along with all the comforts of home. Kandahar Vacation Condominiums sits on the mountain overlooking the Taos Ski Valley and the Children’s Ski Center. The lifts are just outside your door, with shops and restaurants just a short walk away. Stray Dog Cantina enjoying green chile stew and fresh squeezed margaritas. Black Diamond Express for morning latte and the St Bernard for drinks and live entertainment.